I know it’s been a few weeks…. Let me tell ya, it’s been a few BUSY weeks months. I know summer tends to be hectic for most people, but I can say that this is unequivocally the busiest summer we’ve had in a while. Just random stuff that’s led to jam-packed weekends. And while we’ve still managed to get some stuff done (like fixing our rotting wall), we just haven’t been doing all of the home projects that we typically do. There are two larger projects that we’ve been actively brainstorming and can’t wait to get started on. One is moving our fence on the side of our house and adding a shed for storage. The other would be starting on our kitchen makeover. 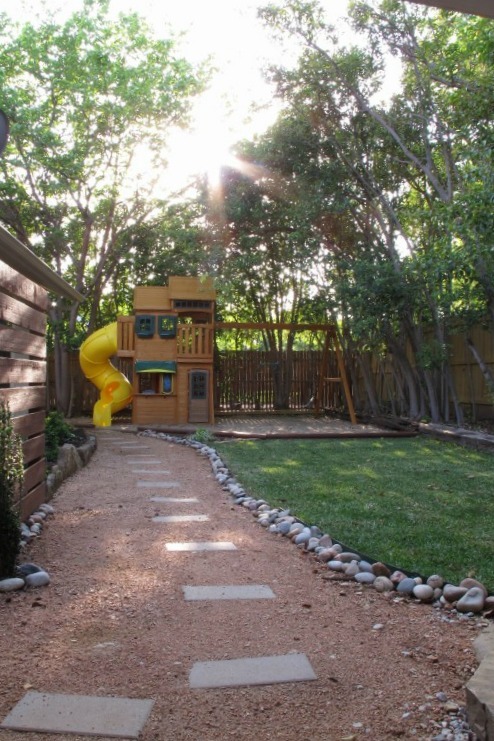 So, let’s start with the backyard in this post, and then I’ll break down the kitchen plans in another. Joey has pretty much been salivating over the idea of adding a shed since we moved in. We have a pretty large two-car garage, but it currently looks like this…. Sort of jam-packed despite Joey’s frequent efforts to organize it. 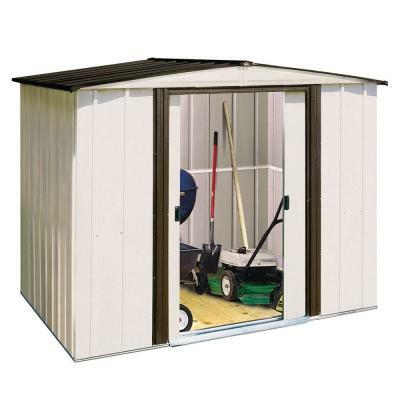 He wants to be able to store the yard equipment and pool stuff in a shed so that we can better utilize the garage and MAYBE fit another car in there. Not to mention create additional space for us to work on our kitchen renovation. I totally agreed with this idea, but with all the other more pressing projects that we’ve had to address since moving in, we’d just never gotten around to it. So, for his birthday, I promised him that we’d get going on a shed after the rotting wall was fixed. He was pretty stoked. But, as any DIYer knows. Nothing is this simple. Because as we tried to figure out a suitable location for the shed, we realized that it’d be premature for us to add a shed without first moving our fence. 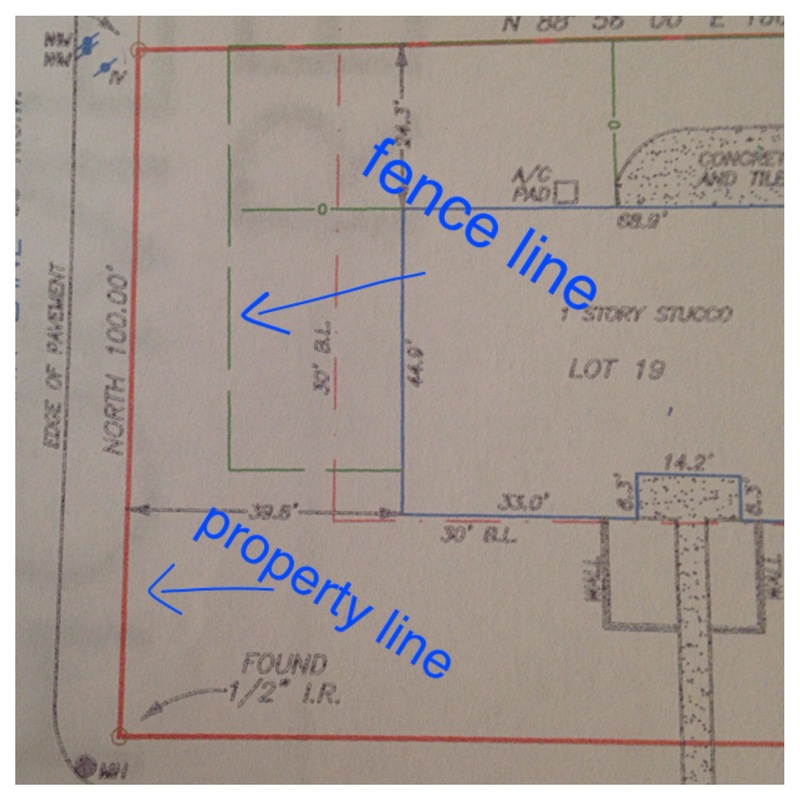 We could totally move our fence and potentially gain about 9 more feet of space in our backyard. Which means that the new shed could be placed behind the tree line, much more discreetly and with a more foresty aesthetic. Totally my jam. Joey and I figured out that we can reuse our current galvanize posts, hardware, as well as the fence sections already in place on the side. We would simply have to purchase two additional fence sections for the front and back and concrete for resetting the posts. Then, we’d powerwash the entire fence and stain it to unite the old and new sections. She doesn’t look like much now, but we have plans (Mu-wahahahahahaa!). 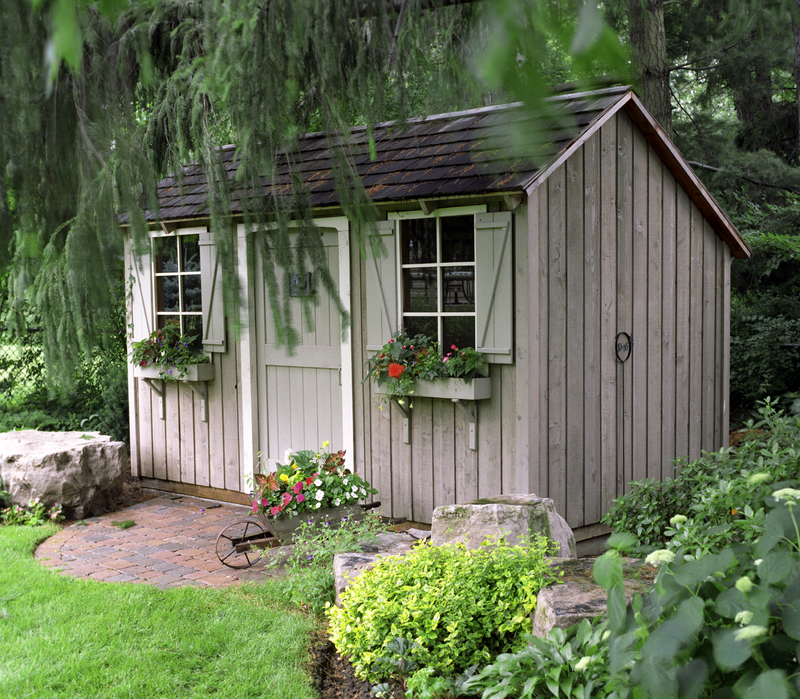 This shed is 8″x6″, which is the perfect dimension to nestle right in behind the tree line. It’s also relatively low to the ground. At 74″ high, the peak should barely be seen over our fence. See that little arc in the branches (by that pallet)? That will lead to the door of the shed. Now this is clearly not a metal shed… and it’s a bit more cottagey than what would work with our quirky 1970’s house, but I really like it because the shed feels like it’s nestled into the landscape. It looks cared for and intentional thanks to the pavered entry and flowers. We’re hoping to make our shed have that same feeling eventually. Although, I will never promise flowers… they always proceed to hate me, mock me, then die quick deaths. Rotted framing that was not disclosed, $X,000. Conveniently located land you didn’t know you own, priceless. Just double check w/ your locality that the fence & shed won’t be in an easement or that there won’t be a sight distance issue. It would be a huge inconvenience to move things after you guys have made all of those changes. Thanks, Stacy! We already called the city and they told us we were good as long as we left 15 feet from the curb. We’re actually planning on leaving 16′ to be safe.